Discussions and development of a next-generation stock car are well underway for NASCAR’s competition arm and the racing departments of the sport’s three participating manufacturers. As the goals for a seventh-generation racer become clearer, so has the target launch date — 2021. Steve O’Donnell, NASCAR executive vice president and chief racing development officer, provided a progress update on the Gen-7 car for the Monster Energy NASCAR Cup Series last week, giving the best timeline yet for the evolutionary vehicle’s schedule. 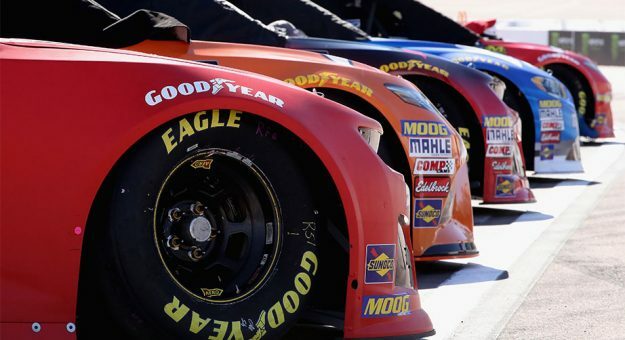 Officials have indicated that this season’s rules package would serve as a bridge to the next-generation car, which is meant to attract new Original Equipment Manufacturers (OEMs) to compete alongside current participants Chevrolet, Ford and Toyota. “I think it’s important to note that the reason we headed in this direction with the 2019 rules package was really to line us up for where we wanted to go in the future from a racing standpoint, both on track from a car’s look and feel and then under the hood from an engine perspective,” O’Donnell said. “If you look at a lot of the dialogue we’ve had with our existing OEMs, potential OEMs, there’s a lot of interest to do some things differently in terms of making the cars look even more like they do on the street, making sure that we can evolve some of our engine technology as well. Relevance in car-speak means a closer correlation between a highway-going consumer vehicle and its NASCAR counterpart, a move that also means increased brand identity. The primary areas for that strengthened resemblance are the car body and the engine, both of which are expected to evolve as the sport moves forward. Mark Rushbrook, the global director of Ford Performance Motorsports, said that Ford has been supportive of the move to a Gen-7 stock car, even as racing engineers have diligently worked to make the debut of the 2019 Mustang in the Monster Energy Series a successful one. “As much as we like that we’ve been able to make our new car look like a Mustang, we’d like the ability to do even more in that area,” Rushbrook said Friday during a preseason media session at the automaker’s sprawling Ford Performance Tech Center. “In terms of what you see on the outside of the car, we’d like to see a few changes — nothing major, but a few changes underneath the car for a little bit of technical relevance. We want to make sure that we can keep using our technical tools and learning like we do today. We don’t want to lose that with any changes. Doug Yates, whose Roush Yates Engines supply the factory-backed horsepower for Ford’s premier series entries, said he agreed with Rushbrook’s proposed two-stage transition to Gen-7: car first, engine next. He also expressed hope that such a process, done right, could create efficiencies and cost effectiveness alike. But Yates also indicated that the industry needed to “continue to move the ball forward” to keep manufacturers — both current and prospective — interested in the sport’s potential for showcasing new technology.